How can I remove this Thank You message from the cloned form? option but I was NOT able to change this text from the original form. MANY TIMES REPLACE THE TEXT IN THE 'THANK YOU' AREA, BUT ITS NOT WORK!!?? 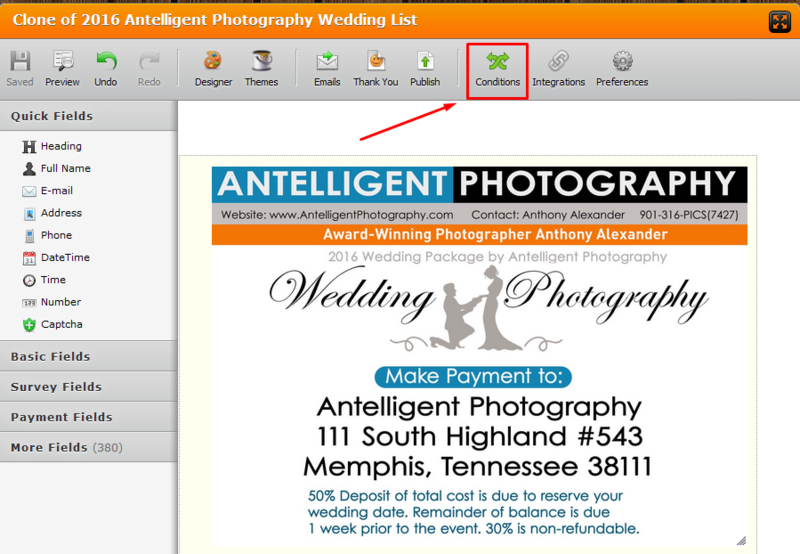 The Ultimate Wedding Reception Planner 2012. This page has now expired. Please close. This is because of the 'Change "Thank you" page' condition logic. Try to disable it or delete it, and see if the problem persist. You should be able to see the options for the condition logic on mouse over. 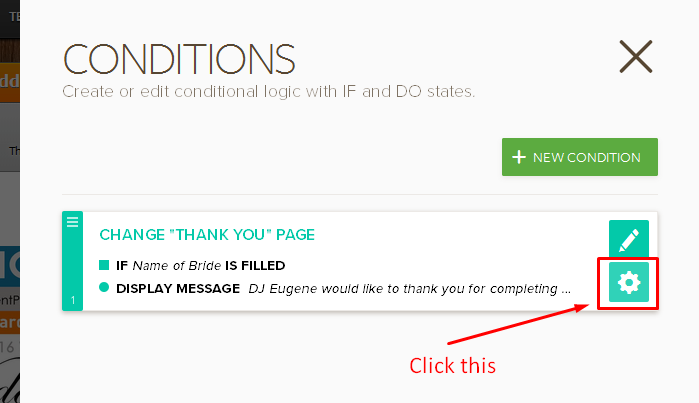 Click the option for deleting or disabling the condition logic. Then choose disable or delete action. You can open the CONDITIONS at the upper side corner.